Attorneys General from Texas and 19 other states appeared in federal district court in Florida today to argue over the constitutionality of President Obama's new federal healthcare law. Today’s oral argument was the final court proceeding for the suit. U.S. District Judge Roger Vinson is expected to rule on the law’s constitutionality sometime next year. Today's hearing comes just a few days after a U.S. district court judge in Virginia ruled parts of the law were unconstitutional. That ruling was the third so far. Two others have affirmed the law's constitutionality. 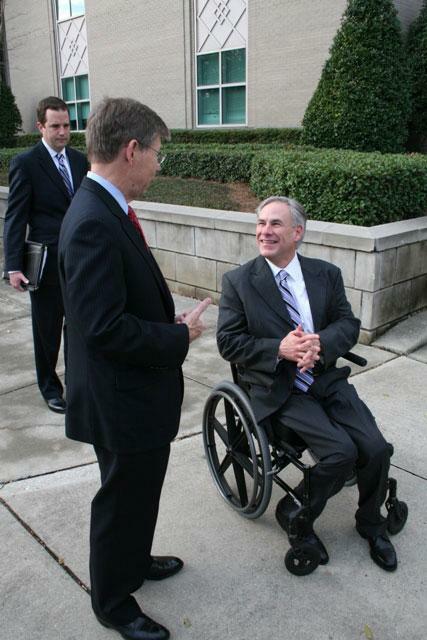 See Texas Attorney General Greg Abbott talking about the suit here and here.